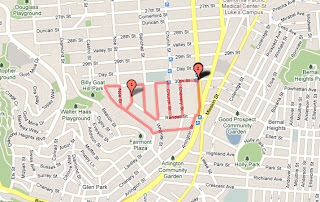 My Comeback Walk on Nov 3. Join me! 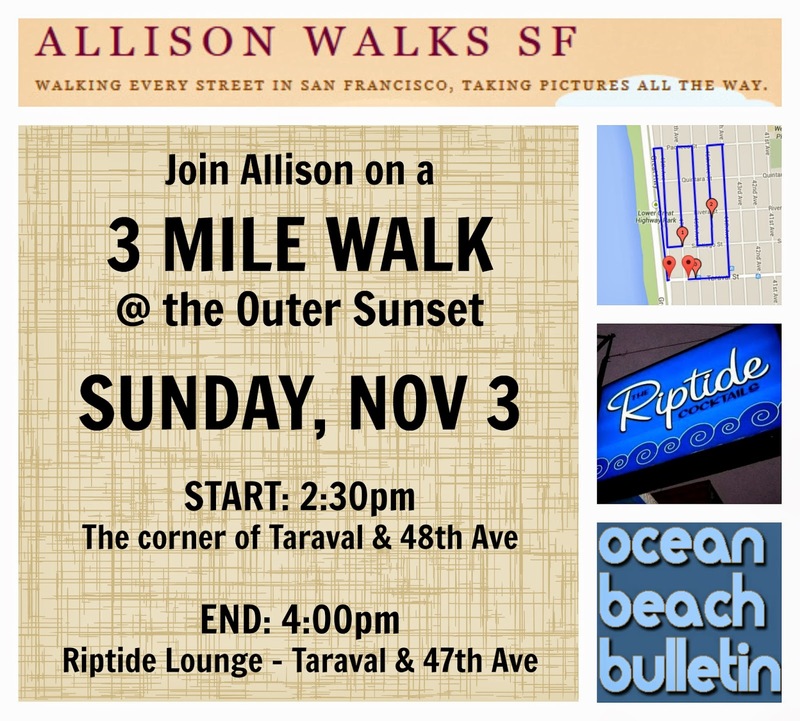 I'm back in the Bay for a visit next month and I want you to join me on a 3-mile walk around the Outer Sunset on Sunday, November 3rd so I can keep working toward my goal of walking every street in San Francisco! 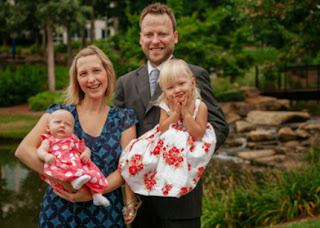 After living in Florida for over a year (and having another baby! ), we recently moved to Portland, OR and I'm able to visit the Bay more often. 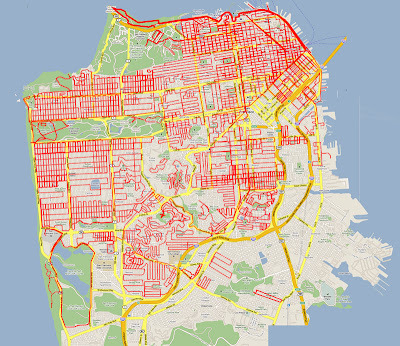 SO.... this means I am going to slooooowly keep chipping at my goal of walking every street in San Francisco. Go me! 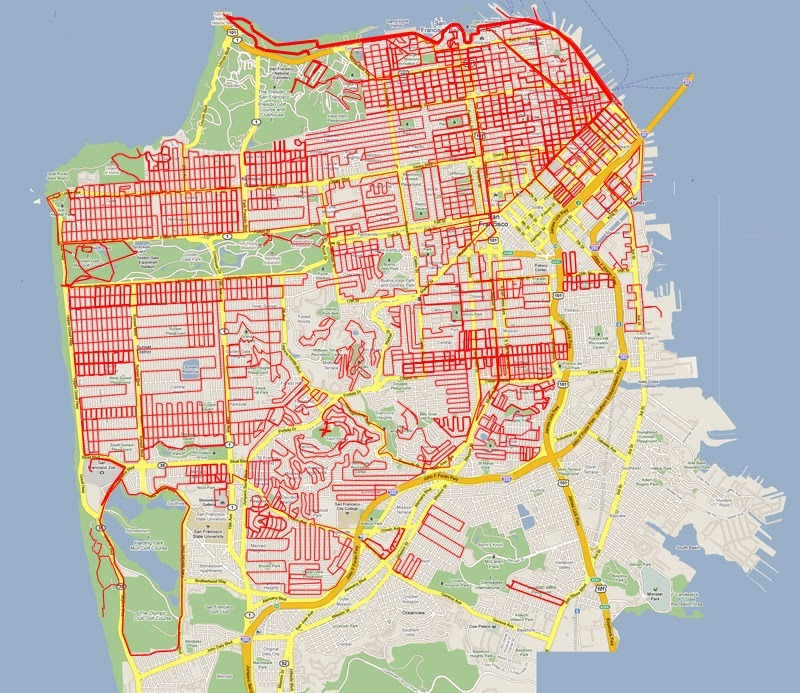 As you may recall, I left San Francisco in May of 2012 after walking 589 of the city's roughly 1,000 miles of streets. 589 is an awkwardly odd number and it's been bugging my Type-A brain since I left. Fortunately, I now have the opportunity to push that number up as I visit every few months. My goal by the end of this year is to hit an even 600 miles. 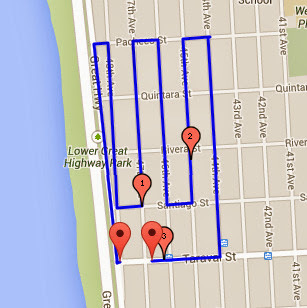 Eleven miles is totally doable over a few walks, despite being grossly out of shape. 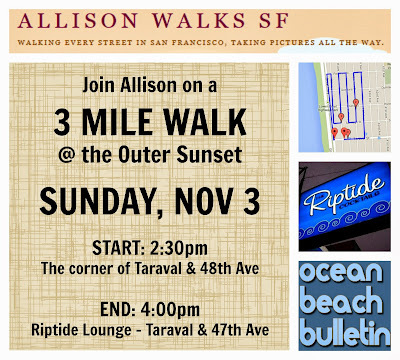 To get back into the groove, I'm going to take a 3-mile walk around the Outer Sunset on Sunday, November 3, 2013 and I want you to join me! 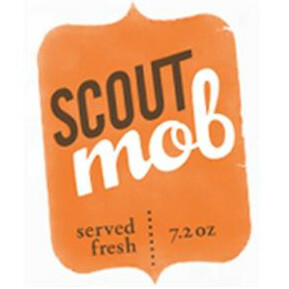 I'll be starting the walk at 2:30pm sharp on the corner of Taraval and 48th Avenue. 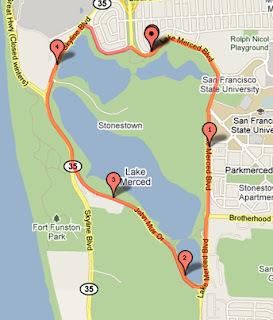 The pic above is the course we'll take so you can hop on at any point. 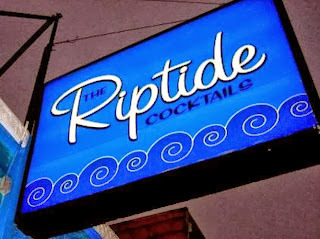 We'll zig-zag around for three miles and eventually (around 4pm) end up at The Riptide for a drink. Sound like fun? Then show up wearing sneakers and bring some fun neighborhood facts because I don't actually know anything about the area. This is NOT a guided tour. I hope to meet some fellow walkers on November 3rd for this walk. 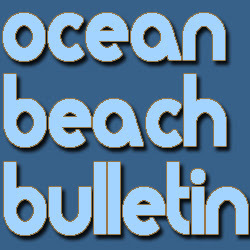 But if you can't join me, look for my special report over on the always fun to read Ocean Beach Bulletin later in the month!